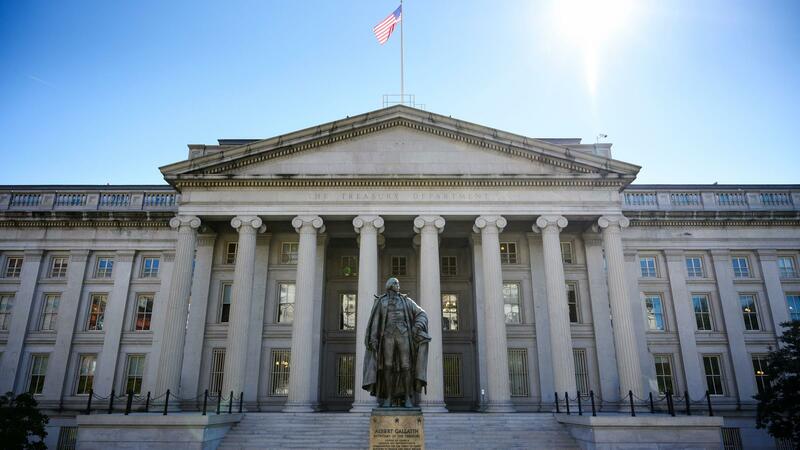 The Treasury Department data comes as tax revenue has fallen and federal spending continues to rise. "By 2029, debt is estimated to reach $28.7 trillion," the CBO said in January, referring to federal debt held by the public — a figure that doesn't include the billions of dollars that the government owes to itself. In recent years, those intragovernmental holdings have hovered well above $5.5 trillion. "This milestone is another sad reminder of the inexcusable tab our nation's leaders continue to run up and will leave for the next generation," reads a joint statement from former GOP Sen. Judd Gregg and former Democratic Gov. Ed Rendell, the co-chairmen of the nonpartisan group Campaign to Fix the Debt. Calling on Congress to cut into the national debt, Gregg and Rendell said, "The fiscal recklessness over past years has been shocking, with few willing to step up with a real plan. We need responsible leadership to fix the debt, not a worsening of partisanship." The U.S. hit the new height despite Trump's promises on the campaign trail that he would reduce America's debt load. Almost exactly four years ago, he said that if the national debt topped $21 trillion by the end of President Obama's term in office, "Obama will have effectively bankrupted our country." The national debt nearly doubled under Obama: It was $10.6 trillion when he took office and was nearly $20 trillion when he left. The rise has been blamed on factors from the Great Recession to wars in Iraq and Afghanistan and rising costs of Social Security and Medicare. Many of those pressures still exist. On Jan. 20, 2017, the total amount of outstanding public debt was $19.9 trillion. On Monday, it surpassed $22 trillion. That's despite Trump saying in August that new tariffs on imported goods would let the U.S. "start paying down large amounts" of the national debt. "The president is very much aware of the realities presented by our national debt," White House budget director Mick Mulvaney said last October, when the government said the federal deficit had ballooned to $779 billion in the most recent fiscal year. Mulvaney said the deficits would be offset by gains in economic growth; he also called on Congress to rein in what he called "irresponsible and unnecessary spending." The new data comes as Washington copes with the fallout of the longest government shutdown in U.S. history — and tries to avoid another shutdown by reaching a deal on Trump's demands for a wall along the U.S. Southern border. The U.S. is entering new debt levels more than a year after Trump signed a $1.5 trillion tax cut that decreased the top corporate tax rate from 35 percent to 21 percent. The legislation also gave most U.S. taxpayers at least a small break, although the largest benefits went to the wealthiest Americans. Republicans in Congress and the White House had predicted their late 2017 tax cut would boost economic growth and help create jobs. While the cut prompted the CBO to raise its GDP and job growth projections, as NPR's Susan Davis has reported, "GDP growth is forecast to slow down after 2020, in part because all of this economic stimulus is likely to drive up interest rates." "The deficit typically grows during recessions — when tax receipts shrink and demand for food stamps and other government assistance rises — then falls during good times. The current spike in the deficit at a time of strong economic growth and low unemployment represents a break with that historical pattern."